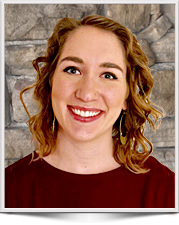 Justine Decker brings more than three years of experience in GIS and data management. Her GIS skills focus on data organization, spatial data analysis, data presentation and web-map development, particularly at the municipal level. She is able to translate complex technical concepts into language easily understood by all users. Served as the GIS Project Manager responsible for mapping flood risk in the state of Minnesota. This project enhanced the methodology designed for the “Minnesota Climate Change Vulnerability Assessment” by the MN Department of Health, which increased the detail of results by creating a fine-grained risk analysis of the state of Minnesota. Designed and created maps, databases, diagrams and web applications for use by City residents and Public Works staff. Updated and maintained Stormwater Utility GIS database, including information on impervious surface area, used to determine annual fees for City residents. Created database and interactive mapping application for use by City Electrical staff to record connectivity and maintenance information for more than 2,000 overhead street lights, circuits and controllers. Read and interpreted legal documents, including legal descriptions and City Ordinances. Performed field inspections, documenting sites with photographs, measurements and GPS data. During this five-month long program, Justine developed and conducted an independent research project at a coffee cooperative with membership of over 500 small family farms. As part of this effort, field data was collected to support an ecological risk assessment, including measurements, photographs, counts and GPS data. The results – which supported cooperative recommendations – were delivered directly to community farmers.